Very Simple and delicious appetizer. Fun to make with kids during the holidays. 2) Leave one stick of butter out at room temperature for 5 minutes so it is soft. 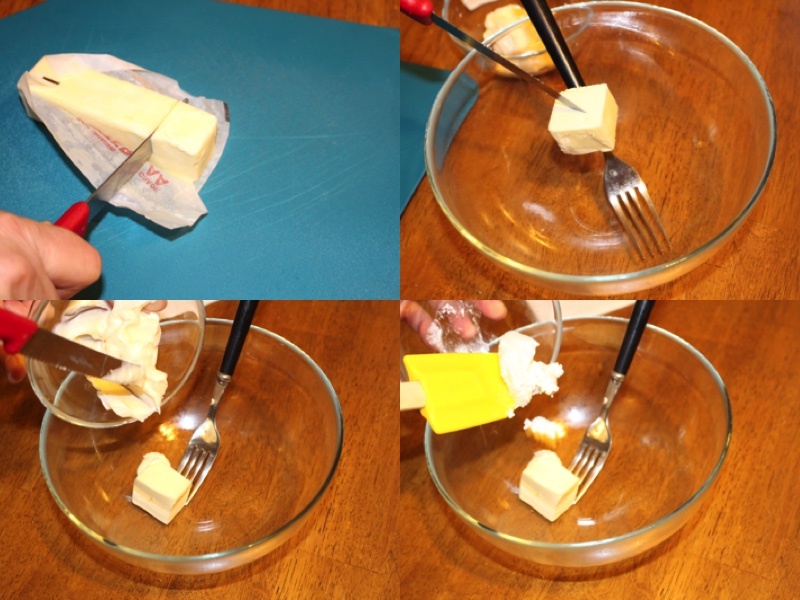 Cut of 1/4 of the butter and add into the bowl. 5) Add salt and black pepper and mix it well. 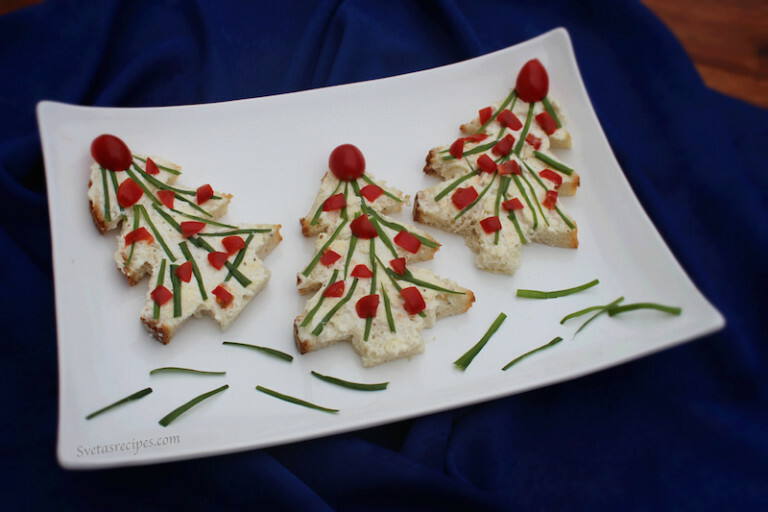 6) Cut out christmas trees out of the bread and then spread the mayonnaise mixture that you made onto each of the christmas trees. 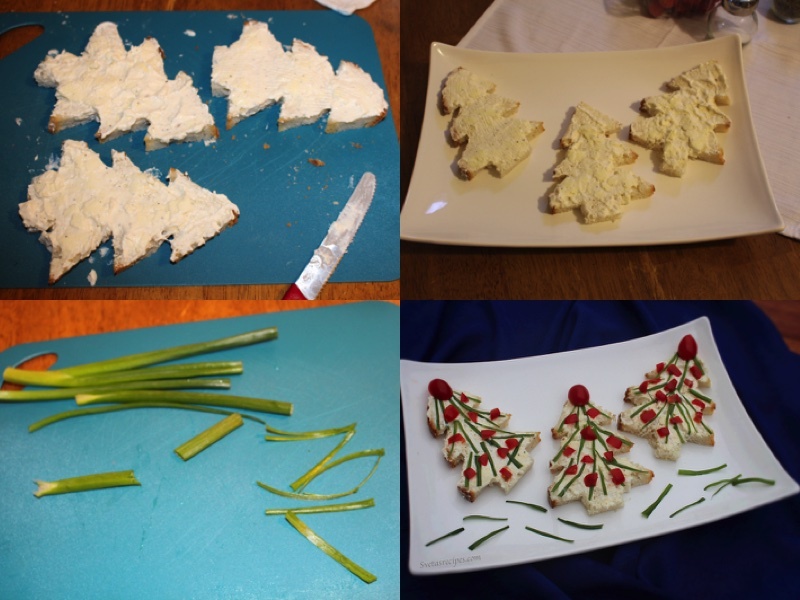 6) Cut the cherry tomatoes and green onion and decorate. salt and pepper as much as you like i put only a little bit. Leave one stick of butter out at room temperature for 5 minutes so it is soft. Cut of ¼ of the butter and add into the bowl. 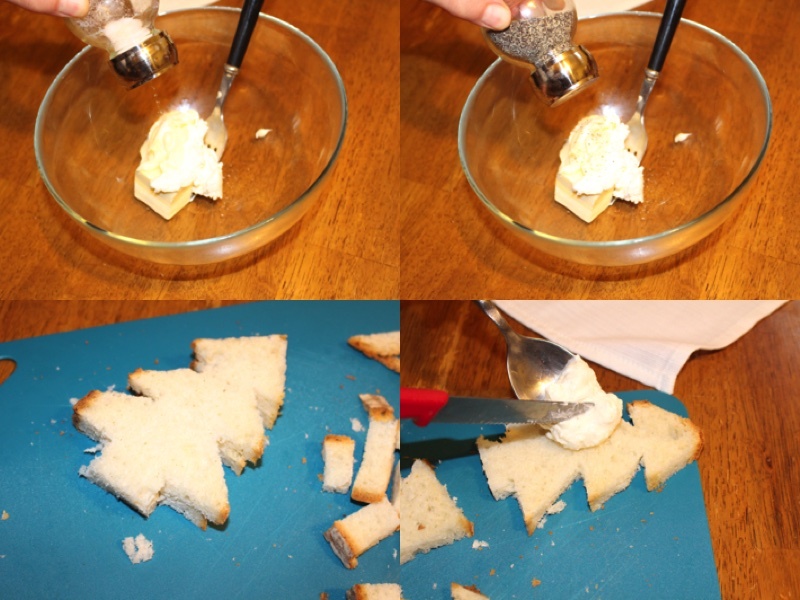 Cut out christmas trees out of the bread and then spread the mayonnaise mixture that you made onto each of the christmas trees. 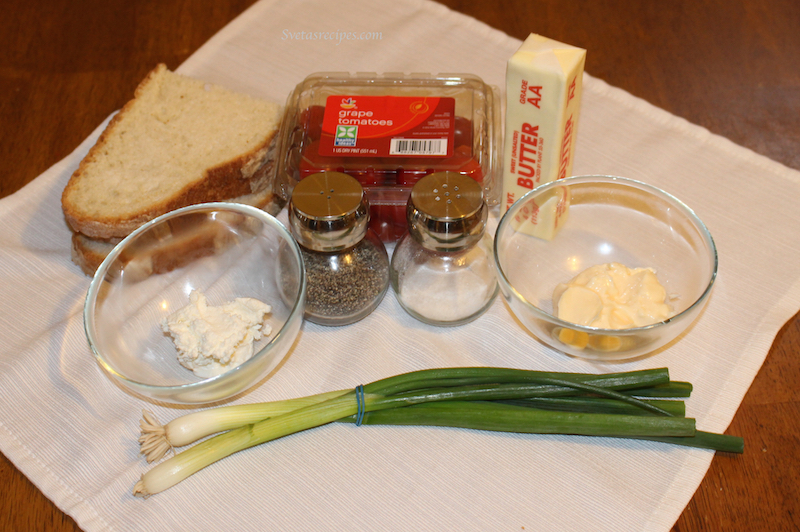 Cut the cherry tomatoes and green onion and decorate.